For the tech-savvy, Docs gives you the ability to specify an external stylesheet, which can be used to modify the design of your public website. Cool, right? This article shows you how to host that stylesheet on Dropbox. In your text editor of choice, create your CSS file and save it with a .css extension. Make sure to save it somewhere in Dropbox. 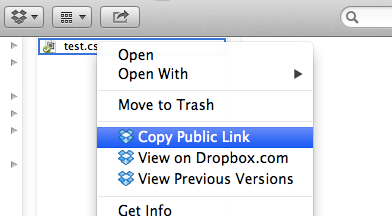 In Dropbox, grab the public link by right-clicking your CSS file and selecting Copy Public Link. 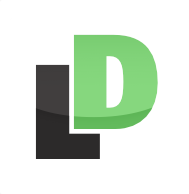 This will copy a direct URL for your CSS file to your clipboard. If you're using the Dropbox web interface, just select the file and click the Share link button. Head over to your Docs Settings page and scroll down to the Design Details section. Paste the URL for your CSS file into the Stylesheet URL field. But wait, there's more! This next part is super important! This allows Docs to access the source of the file rather than the Dropbox page for the file. Click the Save button at the bottom of the page when you're finished. Note: Now that your file is hosted in Dropbox, start editing the CSS as desired. When you save the file, Dropbox will sync the changes automatically. You can refresh your Docs public site to see those changes take effect.